This is the EB Arrow rezoning for University Place and it is quite the mixed used project proposed. Retail, a library ?, offices and residential on the site of existing big box center. Possibly those exisiting tenants would move across the street but this is exciting for this area. Just south of the BLU apartments along N Tryon these apartments are proposed slightly closer to the Tom Hunter LYNX station. Not bad but I would have preferred more commercial space right along the lake personally. Atapco’s new apartments at McCullough Station in University. 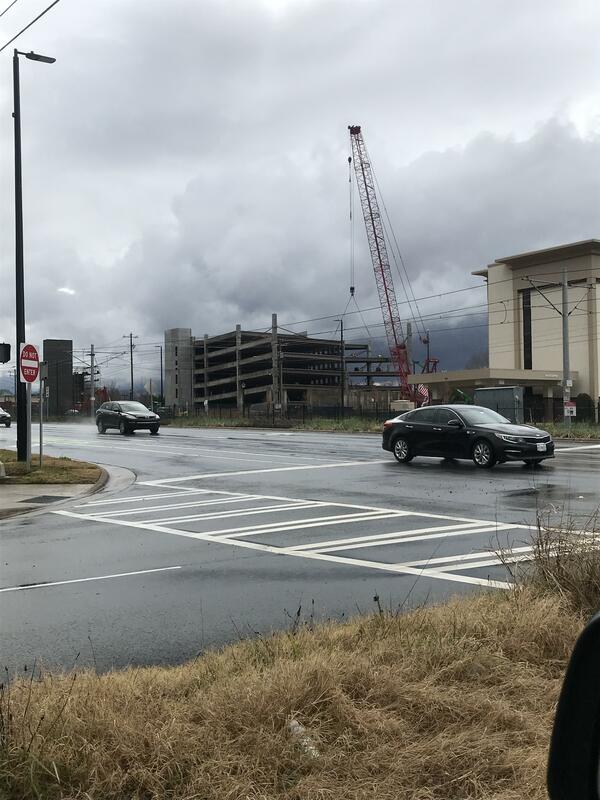 Parking deck rising today. Good summary of all the projects going on in the university area in the observer. Really excited for UC to pick up some momentum and density. Looks like Atrium is going to open an Urgent Care under the J. W. Clay parking deck. Hopefully we’ll get some more anchors under the light rail stations. Looks like this will be the most "urban thing about N Tryon for a bit.. great news! the EB Arrow rezoning public meeting presentation for the redevelopment of University Place is posted here and looks like they had a full house of concerned and interested people. 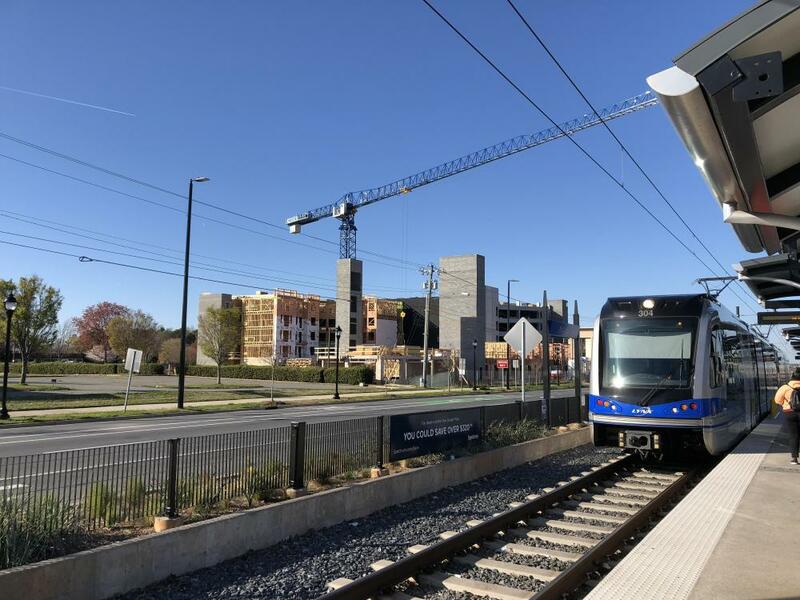 Good summary article about the development in the University city area including talking about University Place redevelopment. 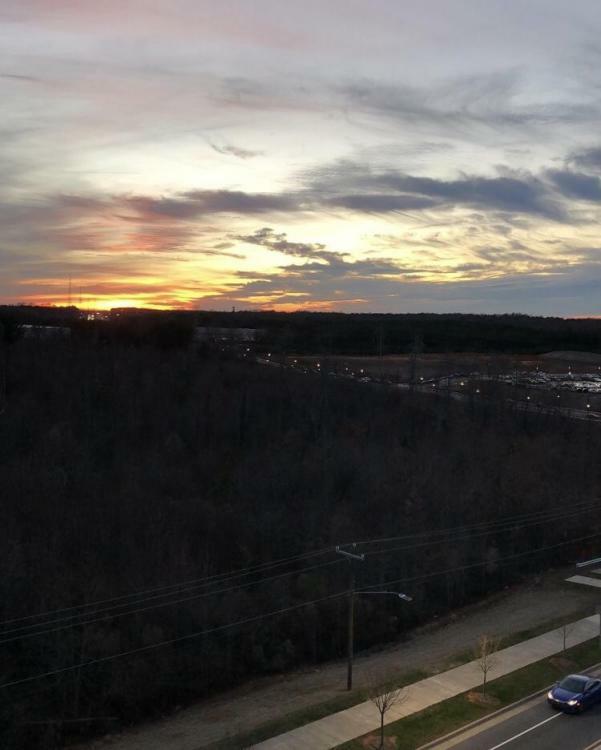 The new Marriott hotel at UNCC, new apartments, the Top Golf etc. I think the university city hotels along N Tryon are best suited to benefit greatly from LYNX service uptown. Cheaper hotel rates, free parking and hop on the train to the convention center or arena. 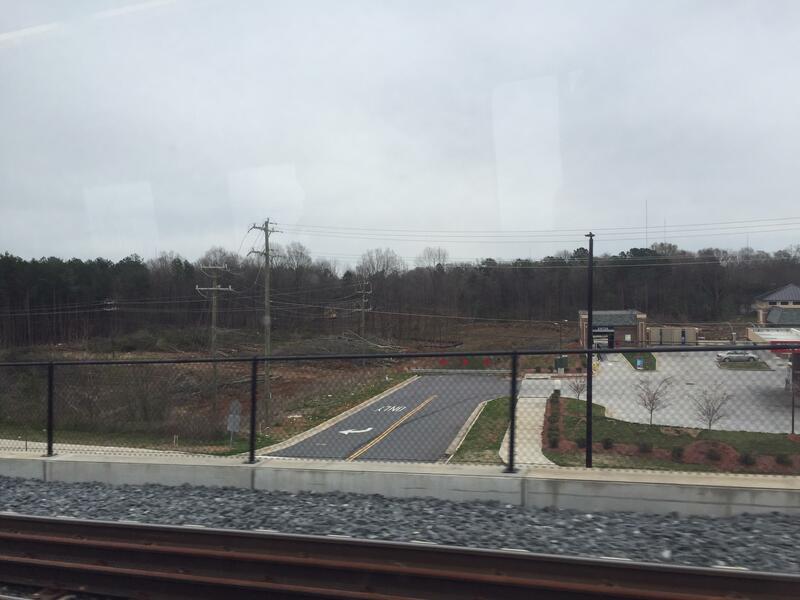 Future site of TopGolf / Entertainment District as viewed from UC Blvd Station. 2 free trees for residents of certain University City area zip codes all you have to do is pick them up. Lets do this University city! Topgolf will occupy a portion of a larger 60-acre site that is expected to become a mixed-use entertainment district. It's not clear when Topgolf in the University City area will break ground; a spokeswoman for Topgolf declined to comment when reached Tuesday. Glad to see this chugging along. I hope they can pull something fun together. Never been to Topgolf, but I'm more likely to go to this one if there will be other activities to choose from before and after. I'd love to see a movie theater, bowling, and maybe even an escape room as well as the usual bar and restaurant deal. One day you will be able to spend a nice morning eating and paddling at the fake lake, the afternoon doing some discount shopping and losing your s--t at IKEA, and an evening playing "golf". Sound like a middle class fancy good time! This is how LYNX has changed the university area. 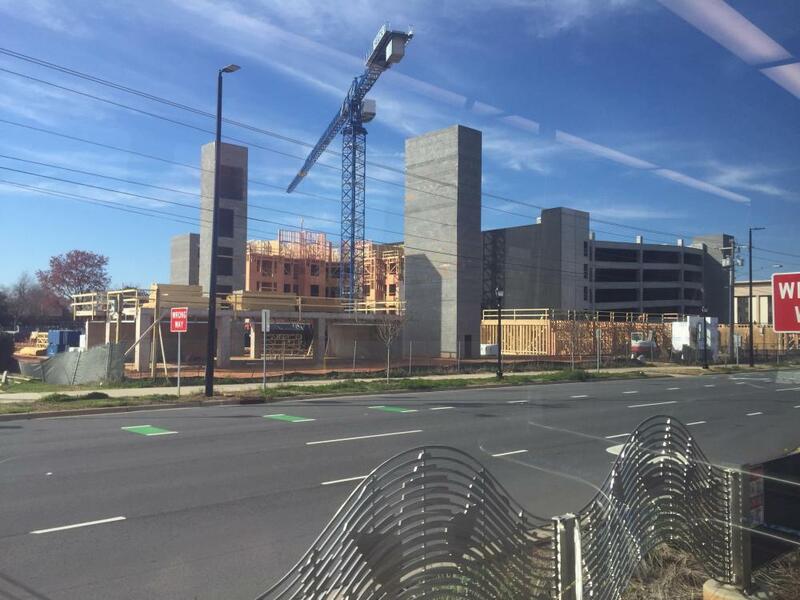 New apartment complexes rising where none ever considered before. 9. JW Clay station 10. 2 large pylons or signs are coming up along N Tryon at UNCC near the PORTAL building. Site prep (or maybe just logging?) underway at the corner of Sandy and N Tryon. It looks like the circle K will become an out parcel. The depth of the site work suggests it’s gonna be multi family. 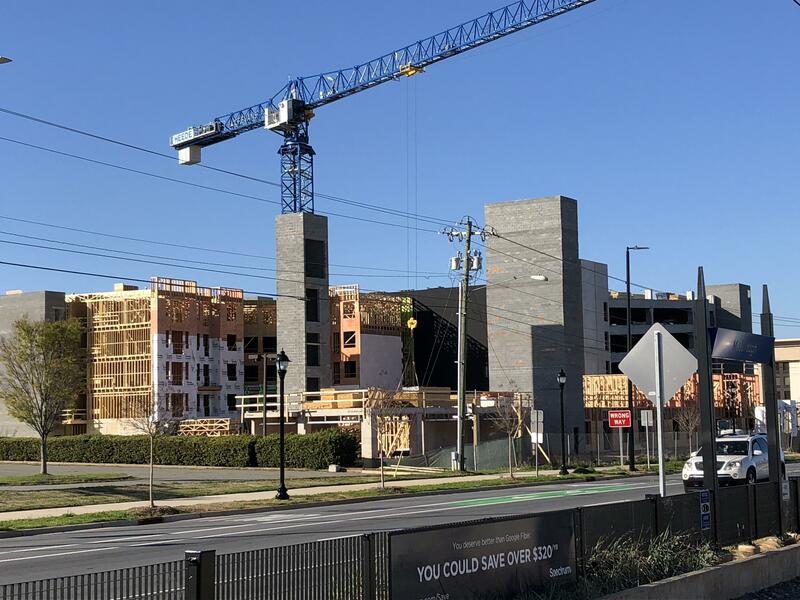 Developers out of VA and FL are developing 300 more apartments across from University City LYNX station and next door to the Oxford Properties of ATL new complex. The map displayed for the project is Durham. Yes I saw that but it is next door to Oxford Properties apartments that I took a photo of above on this page.